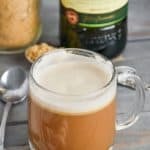 This Irish Coffee Recipe is perfect for St. Patrick’s Day or any day you need a little pick me up! Just four simple ingredients for a delicious cocktail recipe that warms you from the inside out. If you want a different spin on the Irish Coffee, try my Salted Caramel Irish Coffee or my Irish Coffee Shots! Congratulations, you! You rocked St. Patrick’s Day. You guzzled all the green beer and the Lucky Leprechaun Shots and partied with all your lads and lasses. And now it’s the dreaded morning after. No worries! This Irish Coffee Recipe is the perfect “hair of the dog” after an all night bash. Irish Coffee is so simple to make, yet hits the spot in a big way. 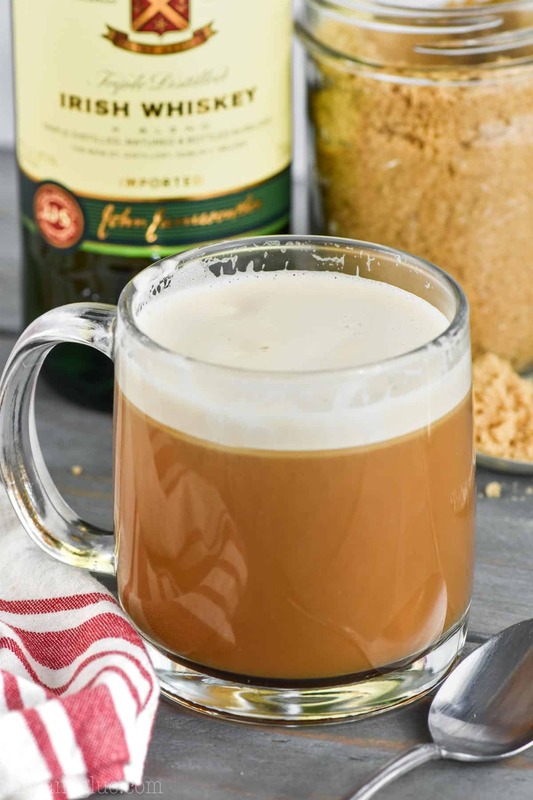 With sweet brown sugar, frothy whipped cream and rich Irish whiskey, this Irish Coffee Recipe is a delicious drink to whip up after a night of St. Patty’s Day celebrating. Need another grown-up coffee fix? You’ve got to try my sinfully good Adult Iced Coffee. 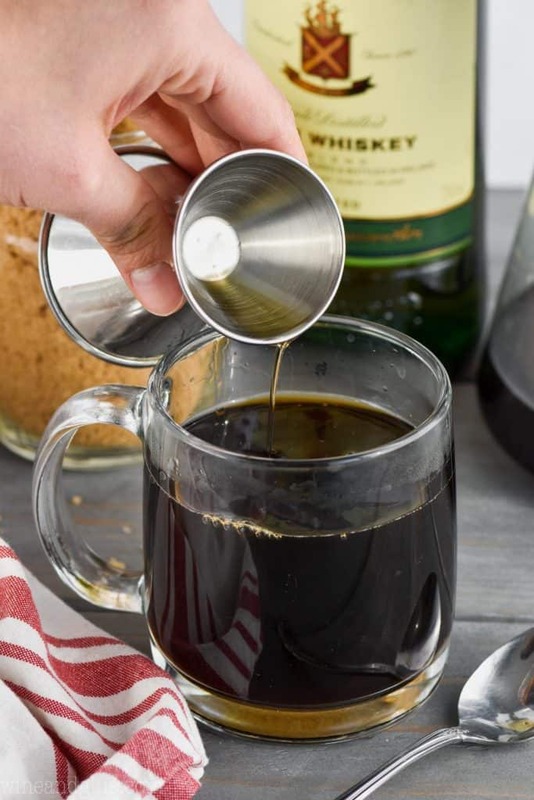 WHAT DO YOU NEED TO MAKE THIS IRISH COFFEE RECIPE? You probably have most of the ingredients for this rich, warm drink in your kitchen right now! This recipe calls for whipped cream, and personally I believe that homemade is the best. If you aren’t sure how to make whipped cream, check out my recipes notes. It’s a lot easier than you think. Grab a couple of your favorite coffee mugs. Did you know there is such a think as Irish Coffee Mugs? There is. You can buy some here, or you can just grab some regular ‘ole coffee mugs. It will taste delicious either way. Fill them with your favorite coffee, then add brown sugar, and stir until dissolved. Now the good stuff. 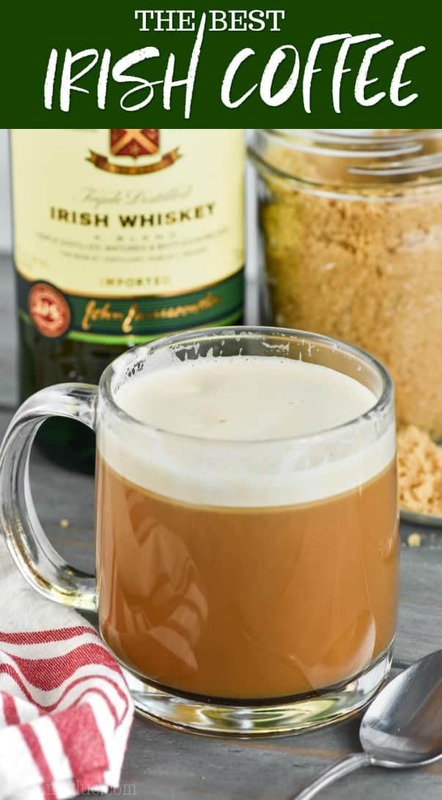 Add an ounce of high quality, strong Irish whiskey to each mug. Top with fresh whipping cream and you have yourself a decadent drink which just begs to be sipped in front of a cozy fire with a good book. 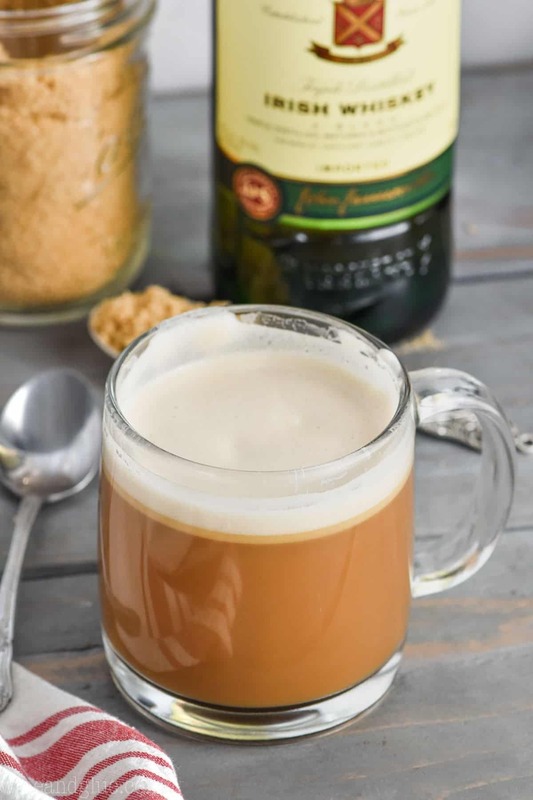 If you are feeling adventurous, you could make your Irish Coffee Baileys style! 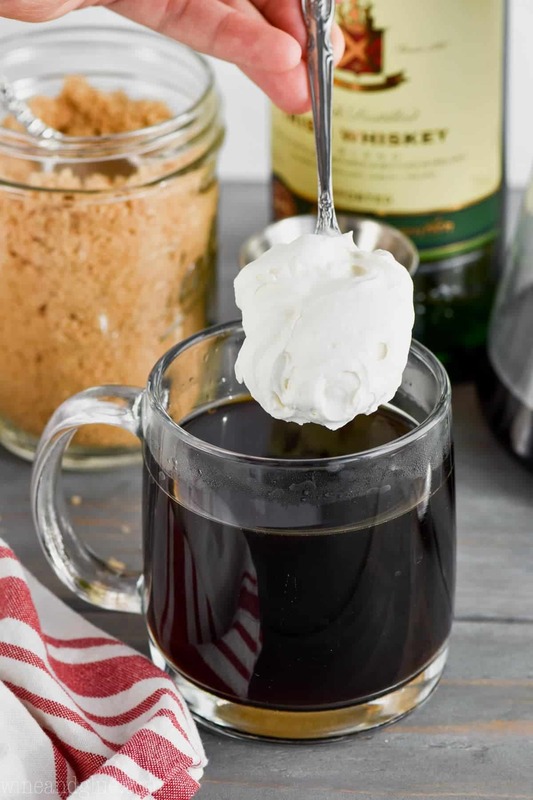 Swap out your Irish Whiskey for some Baileys and cut both your brown sugar and your whipped cream in half. You can add more of both as you like, but start off with half. If you can’t get enough of chocolate, top it with some Homemade Chocolate Whipped Cream. 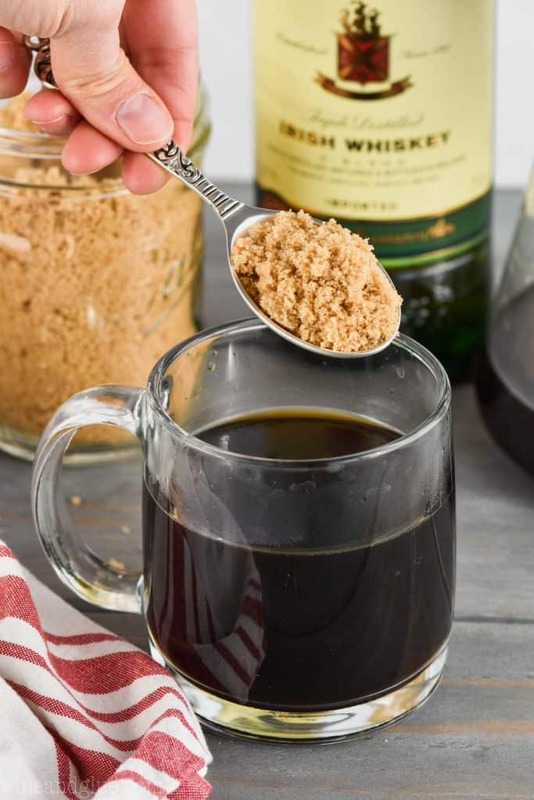 Finally, as mentioned above, you can turn this recipe into Salted Caramel Irish Coffee or Irish Coffee Shots! 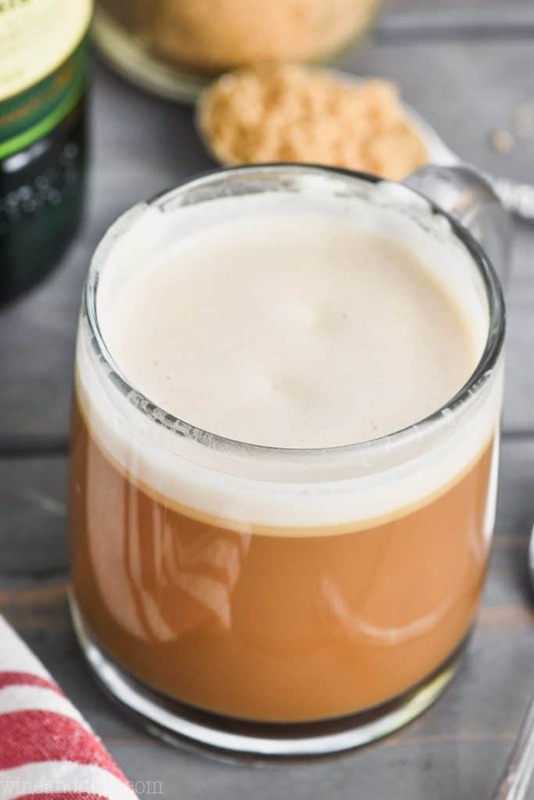 This Irish Coffee Recipe is perfect for St. Patrick's Day or any day you need a little pick me up! Just four simple ingredients for a delicious cocktail recipe that warms you from the inside out. Add a tablespoon of brown sugar to each mug. Stir one ounce of whiskey into each mug. Top with a large spoonful of homemade whipped cream. Enjoy! To make homemade whipped cream, put a metal bowl in your freezer for 15 minutes. When the 15 minutes is up, add one tablespoon of sugar to the bowl. Then add one cup of heavy whipping cream. Whip with a handheld mixer on high until the cream thickens and forms peaks.